I also have issues with loss and abandonment. I have also gone to group therapy and learned some tools for relating to others in a healthier way. Yet, it seems that depression sneaks up and overtakes me at times. I pay cash for therapy, and I have had times when finances have caused me to go every two weeks, or sometimes three weeks or more between sessions. I have considered canceling therapy altogether a few times. Mostly due to finances, but also because I get so upset at the idea of not meeting for therapy that I think I am too dependent on my therapist. I have read a few articles that talk about the therapeutic relationship and unconditional positive regard, blah, blah, blah. My therapist reassures me that it is OK and that having someone hear me—someone to bear witness—is healing. I just wonder if I will ever not get teary at the idea of terminating therapy. How long does dependency, neediness, attachment, whatever it is, last? How wonderful that you’ve allowed yourself to become attached to your therapist. Attachment (i.e., “loving”) is always a risk after loss, partly because when you love someone, you risk another loss. But aren’t our relationships and attachments what make us human, what sustain and drive us, what nurture us? In that sense, shouldn’t our relationships be long-lasting? Your letter brings up many questions. First, you say you have “loss and abandonment issues.” You don’t say what these are, but certainly loss experienced in early childhood can be quite traumatic and can have lifetime consequences. These types of losses can interfere with the basic security needed to have confidence that others are there for us and we are there for them; that we “belong” in this world, that we are loved and can love. A second question has to do not with your relationship with your therapist, but rather with your relationships with others in your life. You say you have been in group therapy and learned “tools to relate to others in a healthier way.” That is terrific, and I would encourage you to keep using them. In therapy, we also learn to observe our own behavior and reactions in the presence of someone who offers “unconditional positive regard,” as you say. I am amused by the “blah, blah, blah” that follows the phrase in your letter. It strikes me as a certain cynicism on your part about this very important aspect of therapy. In real life, unconditional positive regard is very hard to come by, except perhaps with a parent. In therapy, we work out these issues in a place where the neediness and dependency created by our earlier life experiences don’t interfere with the relationship. In other words, a therapist will offer you unconditional positive regard no matter how dependent on her you are, whereas if you approach your other relationships with excessive neediness and dependency, it will interfere with the relationships. Think about that. The hard part is moving beyond neediness and dependency on another person into relationships in which both people are mutually dependent on each other, while each knows how to cope with the reality that nothing really does last forever. As we mature, we aim to make friends, love and hold people close, enjoy what we have, and know that when and if there comes a time, we are whole enough to go on without them, too. I would also like to comment on your therapist’s statement that it is healing just to have someone hear us and bear witness. I agree with that 150%. The Buddhists say: Compassion is willingness to be close to suffering. To simply listen to someone, to “be with” suffering, or to bear witness to it, is honestly the greatest gift we can give someone. A great deal of research has shown, and I have seen in my work with therapeutic writing, that just writing about trauma is healing, but more healing comes with having another person hear—bear witness to—what we have written. I feel I would be remiss if I didn’t mention your depression. You don’t really say much about this, what you think its source is, or even what issues in your life it centers around, but I would encourage you to keep talking about your dependency and neediness with your therapist, as well as any other issues you have that seem related to your depression. At the same time, you might think about whether medication might help. You can discuss it with your therapist or and possibly consult a psychiatrist. I think you’re doing fine, and quite honestly, given your loss and abandonment issues, I would be more concerned if you didn’t feel somewhat dependent on your therapist. I wish you peace and happiness, along with many mutual, long-lasting relationships, and thanks for asking. I’m 31 years old and have been working in the engineering and project management industry for a little over 10 years, five at my current company. A good friend of mine started working at my company about two years ago but in the business development sector. It’s been great to have her here because we can grab lunch or a quick chat anytime. Here’s the issue—I’ve had the same position for my entire time at this company and after only a couple of years, she recently got a huge promotion. Window office, director title, six-figure salary, the whole bit. I know I should be happy for her, but I can’t help but feel extremely jealous of her situation. She’s making more than I am by a good $30K and at her age, she is bound to keep on rising up the ranks. I guess I also worry about our friendship. How are we going to keep up break time chats and water-cooler talk when she’s in a whole different hierarchy? How can I handle this whole thing more gracefully? Ah, envy: that little green monster that often seems to cause so much pain. It can rear its ugly head at friends, colleagues, celebrities, bosses, family members, and perfect strangers (in no particular order). It can glom on to someone else’s courage, clarity of vision, emotional serenity, compassion, persistence, intelligence, quick wit, or success. Let me give you a personal example. As a writer, my most powerful envy comes when I’m in the middle of a book and I suddenly find myself so profoundly moved or deeply amused by the words on the page that I have to stop and take a breath to contemplate (and envy) the author’s skill. Here are a couple of random examples that stopped me this way: Emma Donoghue’sRoom; Shira Nayman’s Awake in the Dark; Patrick Suskind’s Perfume; Jeffrey Eugenides’Middlesex; and Cynthia Kaplan’s book of personal essays, Why I’m Like This. Now I want you to notice that, of the books that have stirred my green monster, some are bestsellers, some only sold a few thousand copies; some were recently published, some years ago; some were lauded by critics, some not so much. The truth is that while I might occasionally envy someone’s “success,” what I envy most powerfully is what I most value, certain qualities of character, and what I aspire to as a writer. So first, I want you to be clear about what it is that you’re envying. Is it your friend’s success? The fact that she got chosen for a promotion and you didn’t? That she got a lucky break and you didn’t? The six-figure salary? Or does your envy stem from your fear she’s more skilled at her job than you are at yours? I ask you these questions because I think it will help you to separate that which is mostly beyond your control and concentrate on that which is primarily in your control. Life is certainly not fair and your friend’s success may well be due to sheer good luck, which is painfully beyond your control. What is in your control, and what you can concentrate on, is how to be the best you can be atyour job. Identify things that would make you promotable and work on those skills. Separate what is going on with your friend’s promotion from the realities of your position and the likelihood of moving up. If you truly feel that a promotion is due, pursue it with your manager. Another worthwhile consideration is whether you actually enjoy and are stimulated by your current position. If you’re bored, or find yourself eyeing your friend’s (or another) field that seems more interesting or presents more opportunities for advancement, take some steps in that direction. Maybe her job change will prove to be a catalyst for you to make some changes for yourself. You don’t necessarily need to wait around for management to give you a bump up the ladder; maybe it’s time for you to pursue a new industry or a new company that will provide the opportunities that you are seeking. Next, you call this woman a “good friend,” but I wonder if she’s a real friend. Is she someone you can actually talk to, or is your relationship merely centered around the water cooler chat? Are you worried about her throwing her new position in the hierarchy around because she already has? If so, then I’d stop thinking of her as your “good friend” and try to gracefully back away while continuing with the superficial water cooler chat. My standards for a “good friendship,” however, are a little different. I root for my friends to reach their goals, I applaud their achievements, and I expect them to do the same for me. A quality friendship is based on whether I can talk to and confide in my friends, and whether they they can talk to and confide in me. I feel that friends are real friends because they share honest feelings with each other, and can allow themselves to be or appear vulnerable. If this were me, and I thought she was my good friend, I’d find a time when she and I weren’t at work, and share some of my feelings surrounding her promotion. I might casually say that I’d been hoping for a promotion, too, or even confess how envious I am! I might ask her how or why she thinks she got the promotion, and maybe even ask her for some suggestions. And then I’d watch very carefully to see how she handled the situation. This is a tricky time for your friendship. If she’s really your friend, she’ll offer her support and hear out your disappointments in a loving way. If a candid conversation like that didn’t go smoothly, I’d seriously think about how close of a friend she really is. I wish you the best of luck in your career and your friendship, and I’m glad you wrote in and asked. I really need some advice. I met my fiancé about two years ago and we got engaged on New Year’s Eve. I’m also eight months pregnant. Even though everything has been going so fast in our relationship and my life, I’m happy as can be. We live in western Maryland, close to my family, and his family lives in southern Maryland, but he wants to move to Florida when our lease is up in December. He feels we would have a good life and more opportunities for our growing family. We have talked about moving, and I really want to, but I didn’t expect to move away so soon. I’d prefer to stay around here a little longer with my family, especially with my newborn. I’m only 22 and he’s 24, and I’m just scared. I’ve tried explaining it and he doesn’t see what the big deal is. He said we will visit all the time, but I don’t see that happening. I don’t know what to say or do and I don’t want to fight about it. I just don’t think I’m ready to move! Congratulations! This is a very exciting time for you, but, I’d also say it’s appropriate to be a little scared and stressed. I’m not sure what to assume about the job situation if you’re giving birth next month, and your fiancé wants to pack you and the baby up and move to Florida because there are “more opportunities there.” Does that mean that neither of you have a job right now, and he thinks he—or both of you—will be able to get jobs there, rather than where you are? This is a key issue, because when the baby comes—wherever you live—someone is going to have to take care of him or her. So first, you have to decide mutually who’s going to do that. If you both have jobs now, are you planning to quit? Is he? Have you discussed this? One benefit to staying where you are is that your families might be able to help with the care of the baby. It is essential that you understand your own feelings before you can begin to resolve any conflict. Many women are stressed and scared when they’re pregnant, and adding a move (particularly one away from family) to that is understandably overwhelming. Be honest with your fiancé when you confess your struggles, pain, and insecurities. Let him know what you’re going through so he can have the opportunity to support you. No yelling. When you yell, your partner only hears you yelling, not the content of what you’re saying. This doesn’t mean that you can’t express your opinion passionately, but remember that the louder your words, the less you’ll be heard. Name-calling, character assassination, cursing, insults, threats, or accusations—even as a so-called “joke”—are strictly forbidden. Stay on-topic and remember that your goal is to reach a solution to the issue at hand. Rather than saying “You always…” or “You never…” stick with something like, “I fear that if we move to Florida, such-and-such will happen,” instead. Remember that you are the expert on how you feel and he is the expert on how he feels. Neither of you should be dismissive of the other. When one of you speaks, the other should focus on really listening, not just planning a rebuttal. Remind yourself not to interrupt while the other person is speaking. You might even try the “mirroring” technique and each of you try to repeat what the other says verbatim to be certain that you are hearing each other. Don’t bring up your parents’ or friend’s opinions, or ask for his friend’s and family’s thoughts. The two of you are the ones who are in this relationship and parents to this child. It’s important that the two of you bind together and unite. Auntie Em’s dislike of Florida is irrelevant when it comes to what’s best for your new, and growing, family. If either of you finds you’re raising your voice or getting angry, walk away, take some deep breaths and calm things down. This is a serious discussion, and it’s going to get passionate. But you need to take steps to ensure that you’re not getting overly amped up and losing sight of the matter, or impeding your own ability to discuss it civilly. Keep the setting for this conversation casual and comfortable. Make it so you can really engage each other. Look your fiancé in the eyes when you talk, and do the same when you’re listening. Hold hands and stay physically connected. This is important. In the end, you don’t need to win the argument or be right. You need to come up with an answer that’s going to be the best thing for you, your soon-to-be husband, and your baby. If the word “fight” comes to mind, think about it as fighting for your family. As you start to hash things out this way, you may find some sort of a compromise beginning to take shape. Perhaps your fiancé will agree to put off the move for a while and you can revisit the discussion after the baby comes. Maybe he will agree to have a job lined up before you move. Truth be told, after your fiancé sees how stressful and exhausting it is to take care of a newborn—the sleepless nights, the constant attention, the strain it puts on a relationship—he may be more amenable to staying put for a while, rather than adding more stress with a move into the unknown right away. And, I do think you’re right that it’s unrealistic to think that you’ll be making a lot of visits to your families in Maryland after you move to Florida. And so as a final note, I would add to my list of things a mature relationship requires are realistic solutions to problems, not wishful thinking or denial of reality. I’m not sure what to tell you to do if your fiancé continues to refuse to hear your point of view and insist it’s no big deal. Whatever solution you come up with to the current disagreement, I wish you the best of luck. And for the moment, congratulations. Cherish that wonderful bundle of joy! Here’s my latest “Just Ask Me,” column from The Daily Muse (www.thedailymuse.com) Here’s the link to the actual column, and here’s the piece in full. I have been dreaming of having my own business for years, and in the last few years I’ve come up with an idea for a business in the health and wellness space that I think is a winner. Of course, due to the demands of everyday life (mortgage,student loans, a baby on the way), I’ve been working in a corporate job for almost eight years. But I’m finally ready to take the plunge and at leastbegin to explore my entrepreneurial side. I know it’s not realistic to quit my day job anytime soon, but I realize that if I don’t get my business underway, well, it’s not going to get underway on its own. Here’s the real issue: My husband of five years is not fully supportive of this idea. He is a very structured person and looks at the house repairs, the cost of a new baby, and any number of practical things as perfectly good reasons for us not to go down the path of owning a business. He always promises that “someday” we can look into it, “someday” we’ll have money to invest in our own business, but that now is just not the right time. I understand that we have things coming up in our life, but if we don’t do something soon, another eight years are going to fly by. I have no idea how to begin to resolve this conflict—it’s something that neither of us can really understand the other’s perspective on at all. Where do I start? I certainly don’t want to discourage you from pursuing your dream, but I must remind you of three statistics that you probably already know. The first is that half of all marriages end in divorce. The second is that the chances of succeeding in a small business are less than 1 in 10. And the third is that you’re about to increase your family by 50%, leading to an increase in demands on your time, budget, and energy of about 500%. That said, the health and wellness space is growing, and with a great idea, plus very careful thought and planning for your marriage, family, and your business, you might be able to increase the odds of success on all fronts. Are you so excited about the prospect of having your own business that you’re discounting your husband’s right to resist? Can you create a business plan that starts with relatively less risky steps to help you analyze the market, find your customers, discover their needs and thoughts about your business idea, and then alter your strategy if your customers tell you to do so? Ideally, this will help both you and your husband feel more comfortable about the prospects for success. Are you assuming that he will ever (or never) be willing to make personal, relationship, or lifestyle adjustments to support this? Are you used to discussing openly with him questions related to your relationship, family, and lifestyle? How much initial capital investment will be required? What is the length of time before you can expect positive cash flow? Can you test the waters while keeping your current job? How stressful for you would this business be? How can you learn to deal with stressbetter? How demanding will the working schedule be? Will you have to sacrifice anything important to your physical, emotional, and spiritual health to succeed in this business? How does this business support your short- and long-term goals as a couple? How could this business improve, solidify, or sustain your relationship? How could this business jeopardize or deteriorate your relationship? How might this business interfere with caring for your children, or other family members’ daily needs? As you begin to discuss this with your husband, remember that in every aspect of marriage, communication skills are key. Never assume you know how your husband is thinking about an issue until you ask him, just as he should never assume anything about what you’re thinking. Once you begin really talking and planning, you may find, for example, that while he has understandable anxiety, underneath he’s actually quite interested and supportive. He may become more interested if you can somehow integrate him, perhaps by soliciting his ideas, or by considering making him a business partner at some point in the future, when you have some tangible success and can expand. You may find that what he’s worried about is quite different than what you think he’s worried about. And you may be surprised to find that his worries are completely reasonable and should be vetted. When your date night is over, make another. In fact, make this an ongoing dialogue until both of you feel heard, and until you’ve given him (and allowed yourself) time and space to fully air your concerns and risks inherent in this kind of undertaking. I’m certain that this sort of heart-to-heart will help you begin to convert the “someday” he refers to into something more tangible. And here’s one possible first step (that adheres to modern entrepreneurial strategy): Create a survey you can distribute to potential customers to help you analyze the feasibility of the business. This will help both of you feel more confident as you begin to take the steps that risk more. I can’t tell you what to do if your husband simply refuses to discuss this or can’t keep an open mind. I can, however, warn you that resentment in a marriage is poison, and that if this is truly your dream and your husband stonewalls it, resentment is bound to rear its ugly head. I wish you the very best of luck in your business and your marriage. Don’t forget to sleep! How exciting! Children "learn" what we model for them. Dear Bruised Muse readers, I’m posting this email series between me and “T,” because, although I found her response to some of my recent writing kind of lovely and sweet (if somewhat misguided), I also found our exchange quite thought provoking and worrying. In my anger management classes, I’ve heard people express similar “spare the rod, spoil the child” ideas. “T” has given me permission to post this anonymously, and I hope readers will find it interesting too. I have a son. I remember waiting, almost with baited breath, until he turned seven months old. For me, at that time, that was the magic number. Once he was seven months old, nothing could possibly happen to him. Of course, as soon as he turned seven months old the magic number became 12 months. And then 15 months. And so on… He is now 26 months old. I cannot imagine my life without him. I do not want to. The thing is, ever since I became a mother, stories about children, ANY children, affect me almost as if they were my own. Happy stories make me tear up in joy, and think of ways I could somehow transfer that joy to my son’s life. Sad stories make me cry to the point of depression, and then I just want to encase him in a bubble and protect him forever. I do not know if this is ‘normal’. I know that this is MY ‘normal’. My own childhood was complicated and abusive. I spend every day caught in a tailspin of endless second-guessing, analysing, terrified of somehow unknowingly abusing my son. I wanted to write to you because I want to give you a hug. I really do. I want to give Michael a hug and tell him he has an amazing mom. Who, even after spending 21 years in a cycle of grief that I cannot even begin to comprehend, managed to reach out over hundreds and thousands of miles to a complete stranger and touch her life, and maybe even save it. I don’t know what it is about your story about Michael and dealing with the tragedy that has prompted this email to you. I know that even on the worst of my days, what I go through is nothing compared to what you deal with on a daily basis. And that puts a lot of things into perspective for me. I apologize if any of this has offended you. If nothing else, please re-read the part in bold and delete the rest. I’m not the best at explaining what’s going on in my head and heart. Thanks for reaching out. I’m so glad you find me, and my resilience, and my writing inspiring. I’m glad you feel I’ve been able to touch your life, although I would deny that a stranger (or anyone) can “save” it. Only you can do that. I think you may misunderstand my writing to some degree, perhaps because I’m sometimes able to take on the “voice” of bereavement, which only means it’s effective writing, not that I’m still suffering and need condolence, although I certainly thank you anyway. Let me assure you I haven’t spent 21 years in a “cycle of grief.” (Or even 17 years, since my son died when he was three and a half in 1994.) Even though my loss is always with me, one way or another, I have a full, rich, happy life. Much of my healing has been and remains in my writing. I have found some sort of meaning in the loss, partly by starting (with my husband) a program for toddlers with special needs in memory of our son, partly by becoming a more compassionate person, and partly by studying, training, and making myself available to help others look at their pain, trauma, whatever they struggle with. One of my special gifts is to be able to help people articulate their story through writing, although I use other techniques as well, like more traditional talk therapy. 1. With your permission, I can post your letter on my blog anonymously, maybe give a little fuller answer. That would be interesting for my blog, maybe for you too. However, no quick answer could possibly tackle what you’ve described. 2. Much more importantly, have you ever talked to a therapist or other counselor? Or perhaps, if you like to write, we could figure out a way for me to help you articulate your story in writing, which might help you work through some of your pain, anxiety, and issues related to the trauma of growing up in an abusive home. Or perhaps there’s someone in your area? Really, I recommend you do some sort of therapeutic work. Thank you for replying to my email. To be honest, my email may have sounded a tad dramatic. A little background – my hubby has been out of town for the past couple of weeks on work, I’m exhausted with looking after my son and trying to work from home (I’m a web designer) and the day I read your posts I was just wrecked. I was extremely affected by your writing, and the loss of your son upset me greatly. Your writing moved me – and I am amazed by your strength and resilience. And to build on that by being a therapist and helping others is truly inspiring. Of course you can post my letter on your blog, but please do remove my son’s name as well as my own. I think maybe I did misunderstand your post. I was thinking about the closure one, how someone who has lost a child cannot really get closure, but I think you were saying that it is possible to move on without HAVING to have closure? Is this closer to the mark? I saw a psychologist when I was younger, (I think I was fifteen or so) and because of the way I was then, I basically manipulated her into thinking I was okay with the abuse (also because I wasn’t entirely sure she wasn’t sharing everything with my mom). My issues stem from my mother, with whom I have a very complicated relationship – I love her to bits but am so incredibly angry with her for what she did to me and my brother during our childhood. I cannot confront her about this, because she has blacked it out (she was on a cocktail of pills at the time) and because she had her own issues. I come from an Indian background where going against your parents is sort of out of the question, let alone confronting them on any level. The abuse we endured was physical (beatings) and emotional (she would sometimes make us hit her or say things like, ‘if you do this it means you don’t love me’ – this being stupid things like walking on cracks in the sidewalk). I’ve seen a counselor more recently which has helped quite a bit. My husband and I started seeing him after I found some emails that indicated that my husband was having an emotional relationship with another woman. This started a year or so after our son was born and devastated me – I was already quite depressed from PPS, and my husband and I decided to see a counselor together. I also sought help in single sessions for my anger management (I lash out verbally when I’m angry, which is part of the problem between my hubby and I). I would have liked to have continued with these sessions but we moved to a different city. There is no English-speaking counsellor here, and the psychiatrists/psychologists all charge upwards of 150 euros an hour which I cannot afford. We live in Germany by the way. My husband is Irish and I’m Indian. About the tailspin: I make it a point to not hit my son in anger, EVER. If I get that mad or frustrated I leave the room for a bit. When he does get smacked he gets smacked on the hand, and it’s usually the third strike rule. However, at the end of the day, I find myself analysing and picking apart my behaviour to make sure I haven’t abused him. Of course, I may well be doing it all wrong (God knows, my mom probably thought she was doing the right thing at the time) and not knowing it. What keeps me sane is my son’s behaviour. He is a cheerful, adventurous and gentle little boy, and his caregivers at the play group he goes to just love him to bits. So I take that as encouragement that I’m on the right track. I try not to let my anxiety spill over into his life. Good grief, I really have rambled on, haven’t I? In short, I have good days and bad days, on the bad days I think of people like you, and a couple of other writers and it snaps me out of my funk. In essence, that is what I wanted to tell you. You do sound as if you’ve had a lot to deal with in your life. I’m very glad you got some counseling and feel that it has helped. I’m very sorry you feel counseling is too expensive now; perhaps there’s a public clinic that would cost less but still provide you with the treatment and support you may need. Or maybe you can find a good clinician who’s willing to take a reduced fee. It’s great that you walk away from your son when you’re feeling angry. This is what we call taking a “timeout,” and it’s a great practice for anger control. 1. Children learn what parents model for them. Dr. Sears tells the classic story about the mother who believed in spanking as a necessary part of discipline until one day she observed her three- year-old daughter hitting her one-year-old son. When confronted, her daughter said, “I’m just playing mommy.” This mother never spanked another child. Hitting children teaches them to become hitters themselves. Witness your own situation. 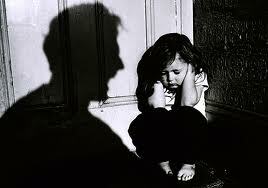 Your mother beat you and now you hit your child and worry about abusing him. 2. Spanking demonstrates that it’s all right for people to hit people, and especially for big people to hit little people, and stronger people to hit weaker people, and you solve a problem with a good swat. A child whose behavior is controlled by spanking is likely to carry on this mode of interaction into other relationships with siblings and peers, and eventually a spouse and offspring. 3. Research supports a direct correlation between corporal punishment in childhood and aggressive or violent behavior in the teenage and adult years. Virtually all of the most dangerous criminals were regularly threatened and punished in childhood. It is nature’s plan that children learn attitudes and behaviors through observation and imitation of their parents’ actions, for good or ill. Thus it is the responsibility of parents to set an example of empathy and wisdom. 4. Punishment distracts children from learning how to resolve conflict in an effective and humane way. A punished child becomes preoccupied with feelings of anger and fantasies of revenge, and is thus deprived of the opportunity to learn more effective methods of solving the problem at hand. Thus, a punished child learns little about how to handle or prevent similar situations in the future. 5. Punishment disrupts the parent and child bond, as it is not human nature to feel loving toward someone who hurts us. The true spirit of cooperation which every parent desires can arise only through a strong bond based on mutual feelings of love and respect. Punishment, even when it appears to work, can produce only superficially good behavior based on fear, which can only take place until the child is old enough to resist. In contrast, cooperation based on respect will last permanently, bringing many years of mutual happiness as the child and parent grow older. 6. Many parents never learned in their own childhood that there are positive ways of relating to children. When punishment does not accomplish the desired goals, and if the parent is unaware of alternative methods, punishment can escalate to more frequent and dangerous actions against the child. 7. Anger and frustration which cannot be safely expressed by a child become stored inside; angry teenagers do not fall from the sky. Anger that has been accumulating for many years can come as a shock to parents whose child now feels strong enough to express this rage. Punishment may appear to produce “good behavior” in the early years, but always at a high price, paid by parents and by society as a whole, as the child enters adolescence and early adulthood. On hitting a child’s hand, Dr. Sears says: How tempting it is to slap those daring little hands! Many parents do it without thinking, but consider the consequences. Maria Montessori, one of the earliest opponents of slapping children’s hands, believed that children’s hands are tools for exploring, an extension of the child’s natural curiosity. Slapping them sends a powerful negative message. Psychologists studied a group of sixteen fourteen-month-olds playing with their mothers. When one group of toddlers tried to grab a forbidden object, they received a slap on the hand; the other group of toddlers did not receive physical punishment. In follow-up studies of these children seven months later, the punished babies were found to be less skilled at exploring their environment. Better to separate the child from the object or supervise his exploration and leave little hands unhurt. “T,” I’m sure you have a wonderful son, but it seems to me that you and your son both would be much better off if you made a serious effort to figure out the ways your childhood is still affecting you, emotionally disengage your childhood trauma from your current life, and learn other, more effective, less putative or damaging methods to deal with your son. On the matter of closure, I think you’re much closer to accuracy with the statement that we can move on WITHOUT having to find closure. Closer still would be the statement that instead of looking for “closure” on a loss, we can try to find meaning in the loss. This however, does not mean that we should go around telling the seriously bereaved that they should find meaning, which could well be offensive to them. Rather, we should allow people the space and time to take their own journey and discover what they need to discover. We can see the proof that people do eventually find, or try to find meaning in loss in the way they so often take up causes related to the lost one, find ways to honor the lost one. For example, Candy Lightner creates the organization MADD. (Mother’s Against Drunk Driving.) The Dorfs start a program for toddlers with special needs called Jumpstart in memory of their son. Another family plants a tree, or starts a local giveaway of bicycle helmets in memory of their son who was fatally injured when he fell off his bicycle. Thank you again for sharing your story, T, and I hope you’ll consider what I’ve said about learning other ways than hitting to deal with your son. Do it for your son, in memory of my son. While I don’t think I’d call hand-slapping “abusive,” I think there are much better ways to deal with your beautiful little boy. How about a timeout for him? Or a system of positive reinforcement. So, for example, if he listens to mommy three times he gets a star, if he gets three stars, he gets something (little) he wants. I wish you both the best, and I stand by my original suggestion that you get some counseling, individual rather than couple.